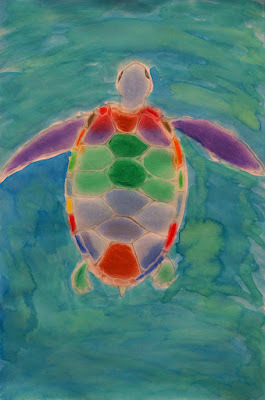 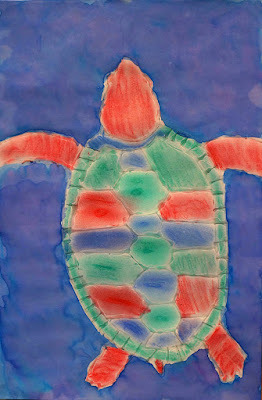 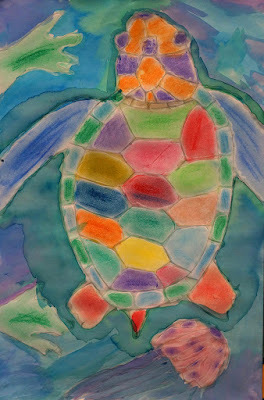 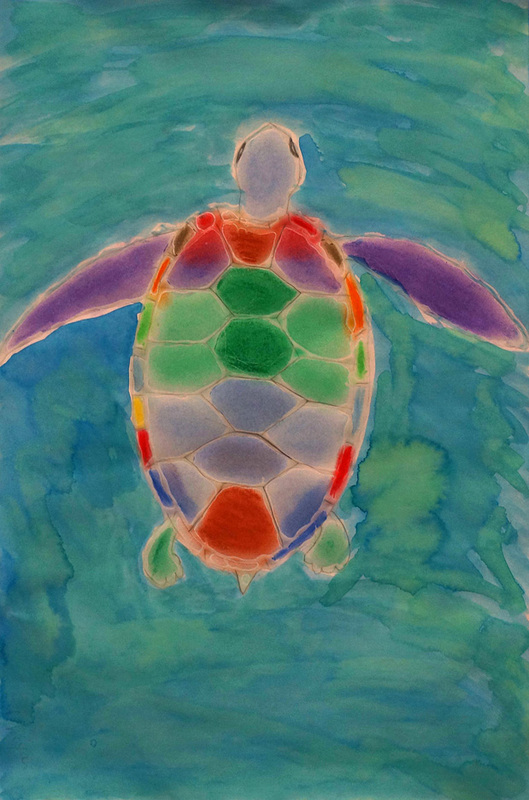 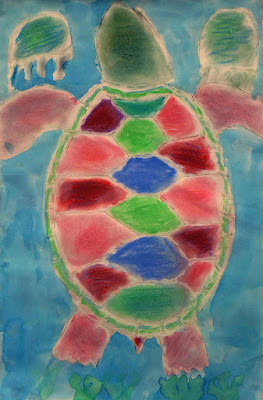 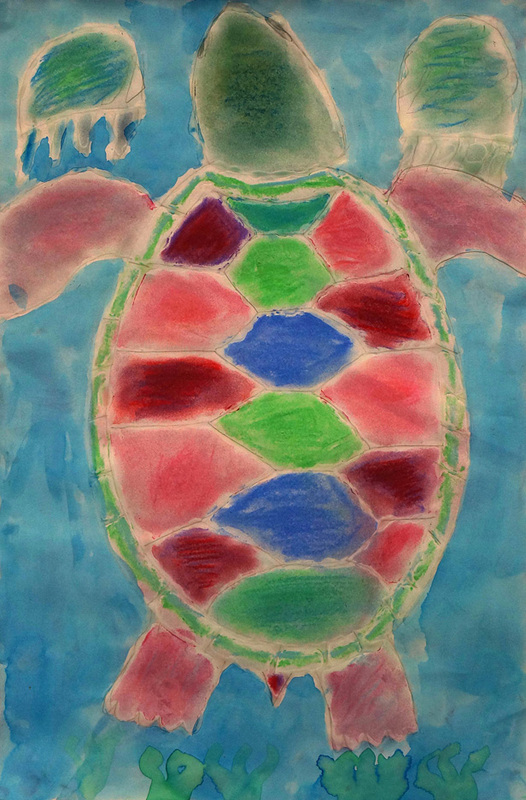 This lesson introduced the 4th graders to soft pastels and the technique of tracing their drawings with white glue to keep their pastel sections separated (both physically and visually). The works were finished off with a cool-colored wash of the liquid watercolors we make from our dried out Crayola markers. We also learned a little about the amazing, ocean-spanning migrations of the sea turtles that nest on our North Carolina beaches.